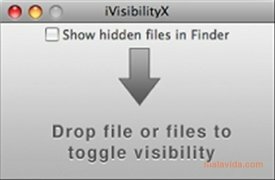 iVisibilityX is a simple tool with which you will be able to maintain those files that you don't want anybody to see hidden. If you share computer, it is possible that you don't want other people to see certain files, so as to avoid that they open them or delete them. 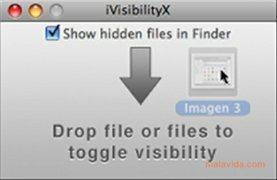 Thanks to this application, nobody will be able to view your files, and you will be able to make them visible whenever you want. 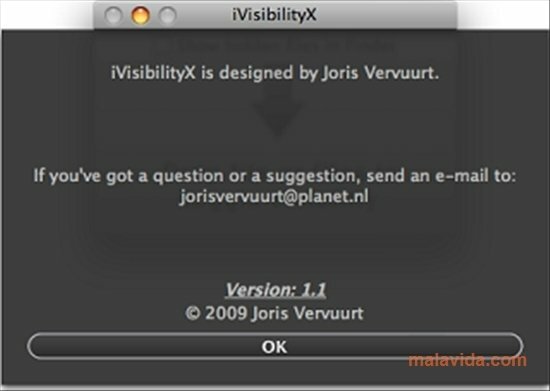 The interface of iVisibilityX is a simple window where you have to drag and drop the files that you want to hide. Once you have done this process they will be invisible. They will still be in the same place, but hidden. 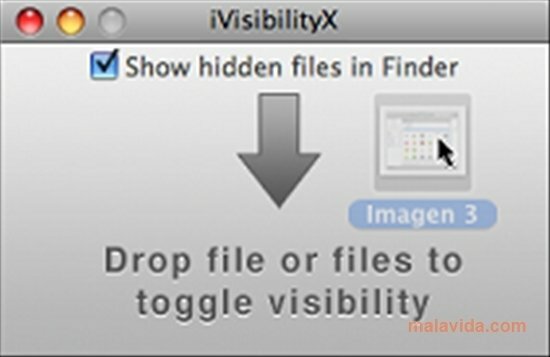 To be able to see them again, you will have to mark the option “Show files in Finder”. After that all the files that had been hidden will be visible once again. That simple. 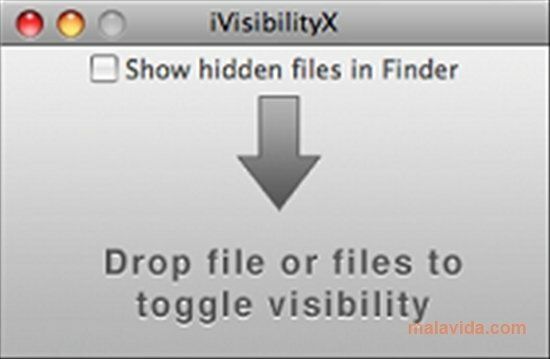 You will be able to drag any file, folder or even application to iVisibilityX. 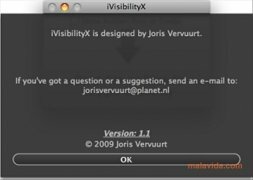 The only precaution that you have to take, is not to leave this program very visible, because if not people will find out that you are hiding files. In all other respects, this tool will serve you to make sure that nobody can access your private files.